This Dragon Ball Z free coloring book page is not only fun, but also helps your child's sense of colors. Have your child color it in with paint, crayons or colored pencils. Have a stack of Dragon Ball Z color sheets lying around for the boring rainy days. 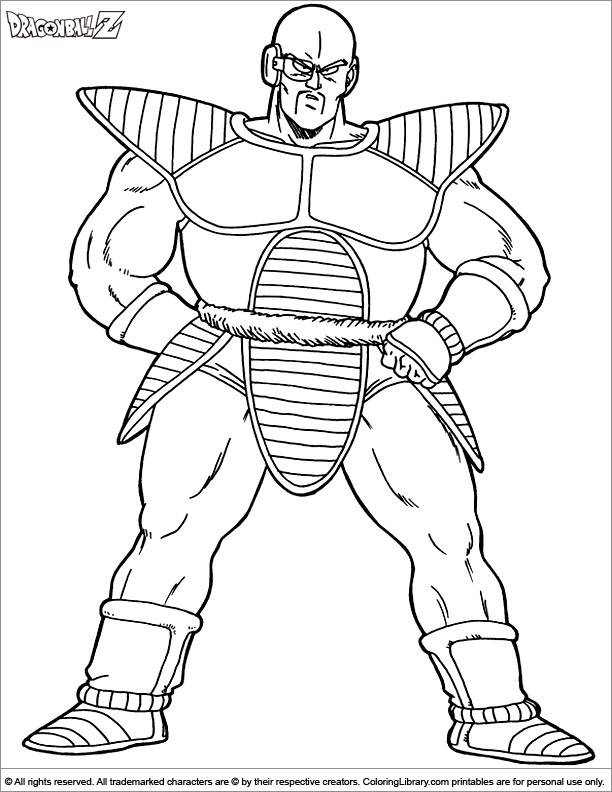 Collect this Dragon Ball Z free coloring book page and many others from the Dragon Ball Z library to make your own coloring book.